The wrestling world lost a true legend today. Tom Billington better known as “The Dynamite Kid” in professional wrestling was a legend and a pioneer in the ring. He is remembered most for being one half of the British Bulldogs tag team with his partner Davey Boy Smith. Tom will be remembered for being one of the performers who popularized and set the bar for high flyers in the modern era. Shawn Michaels, Chris Jericho, and so many more had traces of his work in their own. He was tough, sometimes a little too stiff in the ring, but never shied away from taking a hard bump for the fans. 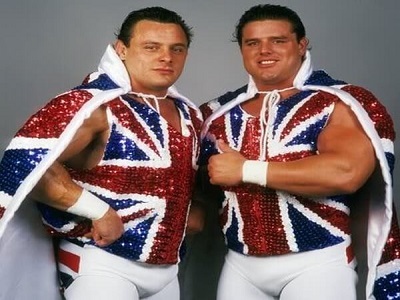 Dynamite Kid joined WWE in 1984 with his cousin, Davey Boy Smith, forming one of the most popular tag teams of their era, The British Bulldogs. Alongside their mascot, an English bulldog named Matilda, the duo battled it out in classic matches against Bret “Hit Man” Hart & Jim “The Anvil” Neidhart of The Hart Foundation, and defeated Greg “The Hammer” Valentine & Brutus “The Barber” Beefcake to win the World Tag Team Titles at WrestleMania II. His former tag partner Davey Boy Smith’s son also tweeted his own response to the sad news.